Baking Soda – Use it in place of harsh scouring cleansers or sprinkle it in your carpet to remove pet odors. Coarse Salt - Like baking soda, it can replace harsh scouring cleaners in your home. Vinegar – Create a solution by mixing vinegar and water that can be used to clean your bathroom or kitchen. The mixture is also effective for removing rust stains. Borax – This naturally occurring mineral can be used as directed with laundry detergent to clean pet bedding in the washing machine. It can also be used to kill fleas. Also remember that while these products are safe for your pet to be exposed to in small, diluted amounts, they should never be easily accessible. Ingestion of almost any item in large amounts can be deadly. Once you find pet safe solutions for cleaning your home, make sure to financially protect your investment. With the best homeowners insurance policies available to protect all the things you love and value, Southern Oak Insurance can help you safeguard your investment. Our agents are experts in Florida homeowners insurance and understand the marketplace dynamics that can impact premium costs. They will also help you find the most cost efficient policy to protect all the things you value in your home. Contact us to ask for a quote for homeowners insurance coverage today. 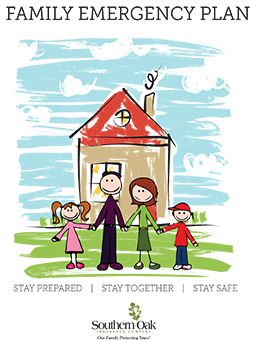 Making sure the entire family is safe, children and pets included, is always a top priority. Download our Spring Cleaning and Family Safety eBook to learn more best practices for this upcoming season.